Enjoy full-contact medieval combat – battles, duelling, team fights, archery and more – at a historic visitor attraction, known for being the crowning place of medieval kings. 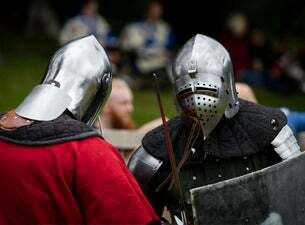 The International Medieval Combat Federation World Championships are coming to Scone Palace in Perth, Scotland this May. At least 25,000 visitors are expected to attend the event which will feature 500 competitors and 500 officials from more than 31 countries around the world. Many of the competitors will set up a medieval encampment on the palace ground. This is the first time the U.K. has hosted the IMCF World Championships, which take place every three years at historic venues around the globe. Although ancient combat is revived with historically accurate weapons and armour, the sport is relatively free of injuries. Rugby players sustain more bumps and scrapes than those taking part in full-contact medieval fights.